Handmade nunti bo made of made of hard wood, processed with impregnation wood preservative and insecticide varnish, that doesn't not leave a film onto the wood. As a result, the wood is free for moving without cracks and pealing and it doesn't stick on the hands and has a velvet touch. 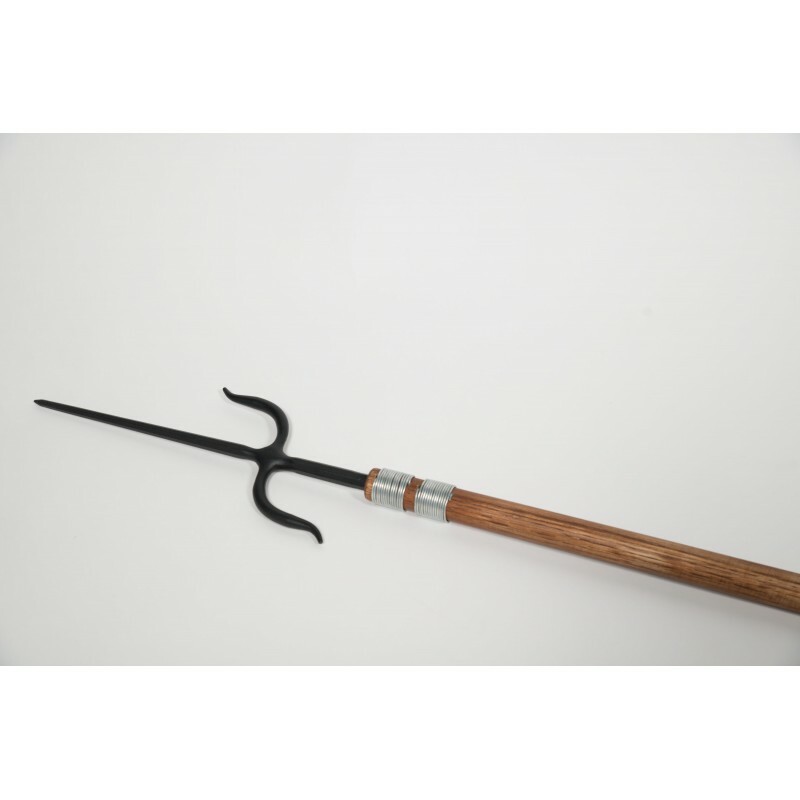 The metal end is made of solid wrought iron with long lathe turning (not casted iron), with ISO certified powder coating cured in high temperature oven. 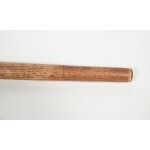 Nunti Bo can be made of beech or oak. 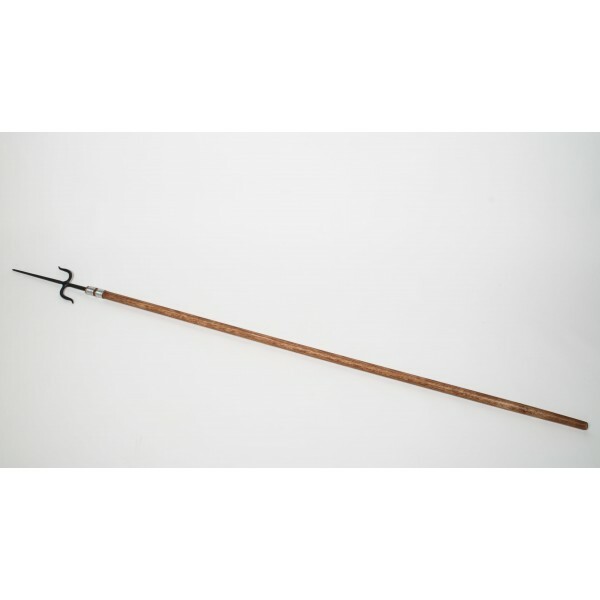 Nunti bo (fishing spear) is used in a similar way as the Bo. 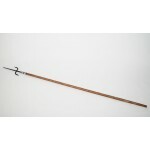 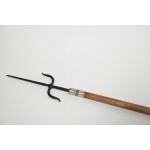 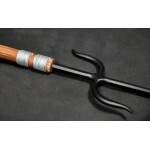 The 15" central staff has two prongs, one facing away and one facing toward the opponent. 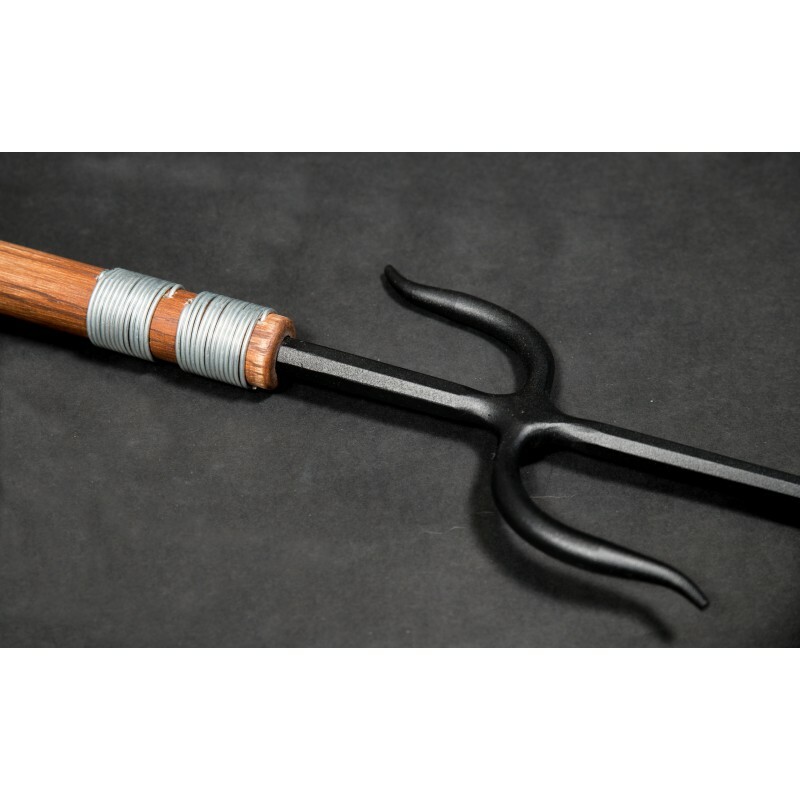 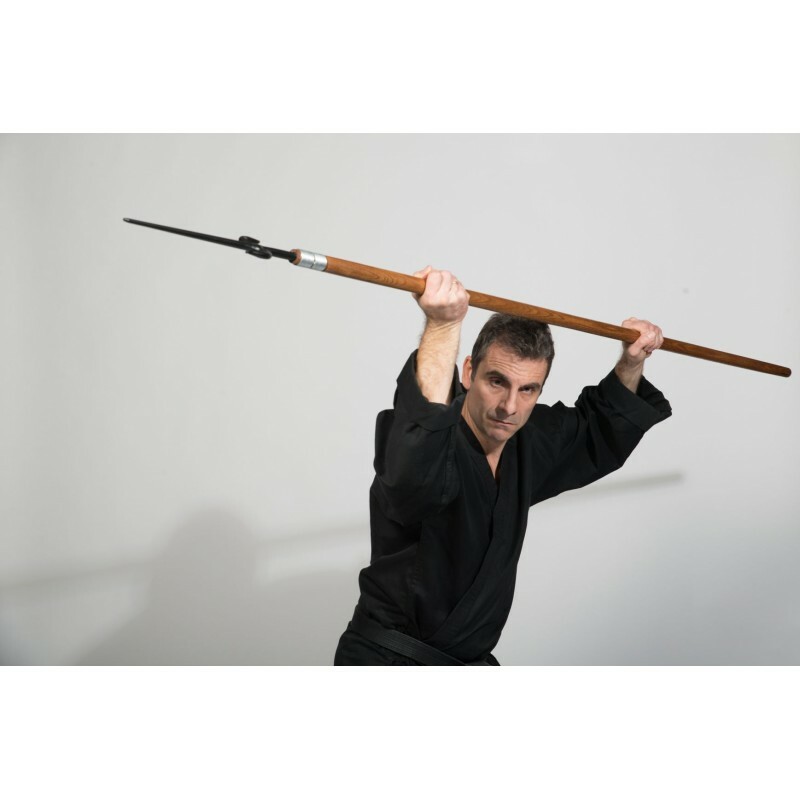 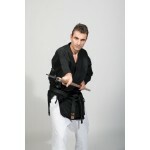 It can be used to spear, strike, or hook the opponent with the backward prong.